TRD Pro Plus 4" Lift Kit System. Install time: approx 6-10 hours. Will not work with the TRD rear swar bar option. TRD Pro Plus 4 Complete Lift Kit! 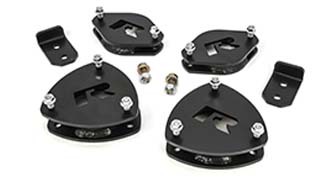 ReadyLIFT 4" Lift Kit Available For 2015-19 Toyota Tundra TRD Pro Trucks! ReadyLIFT delivers a great Pro Plus 4 lift kit that will provide 4" of front lift to TRD Pro Tundra trucks that come factory with 2" of front lift. That equals the same height as our 6" lift kit on a standard Tundra. 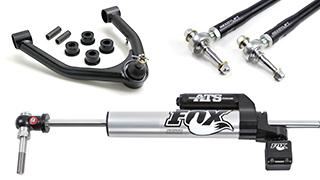 And even better, this kit allows you to retain use of the factory Bilstein coil-overs and reservoir rear shocks! 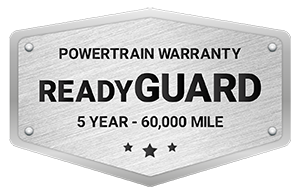 That's right, this great new system retains use of ALL of the factory TRD Pro suspension components. 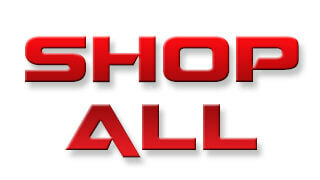 Note: Factory Wheels - This system will only work with factory 20" wheels - Will not work with factory 18" wheels. Properly sized aftermarket wheels okay. The 44-5640 Pro Plus 4 inch lift kit for Tundra TRD Pro trucks is packed full of the same great features found in our standard Tundra 6" lift kit! 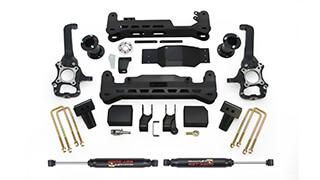 Starting with our ultra strong laser cut, CNC bent, welded and boxed sub frame drop assemblies that not only keep your suspension geometry where it is suppose to be, but also increase your ground clearance 2 inches over the competition! 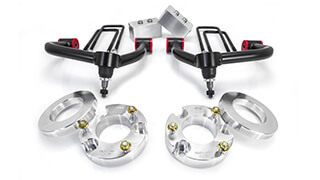 Our unique and precision-designed iron knuckles feature CNC machining to guarantee precise fit while allowing for retention of the factory tie rods. That means no cutting or replacing your tie rods - ever! The 4 inches of lift is created by our innovative and industry-leading offset top mount spacer design. 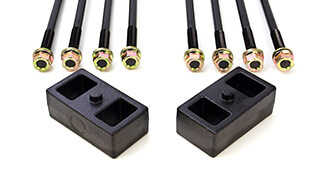 These strong steel spacers attach to the factory Bilstein coilover/strut - resulting in a factory ride - while positioning the suspension in such a way as to not increase track width. What does that mean? It means your front tires won't stick out further than your rear tires like with other kits. AND it means you can run your stock wheels with stock tires and use your spare tire if needed. 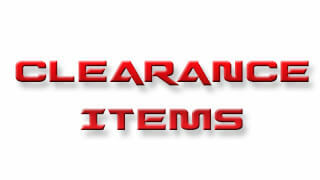 That is some serious added value for you! Our sub assembly design features a truly innovative approach to dropping the differential. 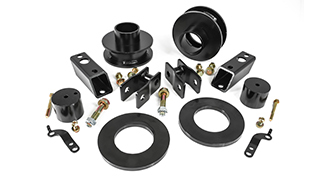 Our diff drop kit is engineered for easy installation - easiest on the market - and correctly positions the differential to maintain great CV axle and driveline angles. 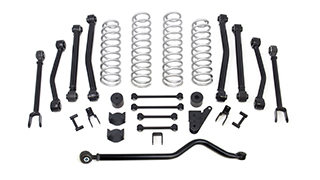 This kit has been engineered around developing and offering a top quality lift solution for Tundra TRD Pro owners. We sought to correct so many of the issues that exist with other Tundra lift kits on the market. With our 44-5640 Pro Plus 4" lift kit you can rest assured you will not be wearing out those tires. Our system is built around maintaining correct alignment and geometry specifications. That is something both you and your installer will love! 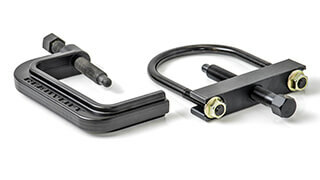 For the rear this kit includes our time-tested OEM-style cast iron rear lift blocks and longer u-bolts with hardware. 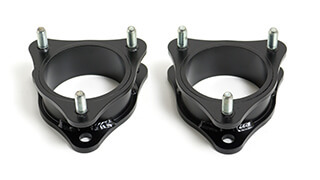 Additionally, we also include bump stop extensions all the way around as well as sway bar frame mount brackets to keep the front sway bar in a factory position. 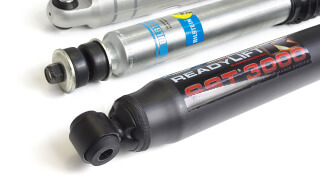 And to keep you driving on those high-quality Bilstein reservoir shocks, we include our popular shock stem extensions that extend the installed length of the shock without altering the compressed and extended length. All of this contributes to an excellent driving and handling suspension system that truly compliments your Tundra TRD Pro truck!